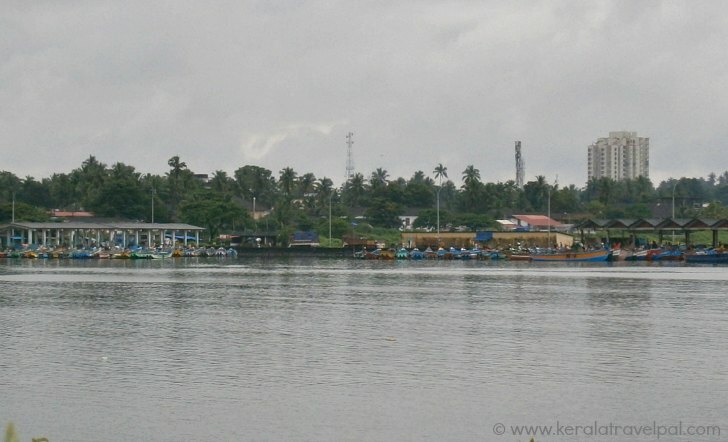 The natural harbour of Mappila Bay (also Mapila bay, Mopila bay and Mappila beach) is a water inlet great for boat rides. 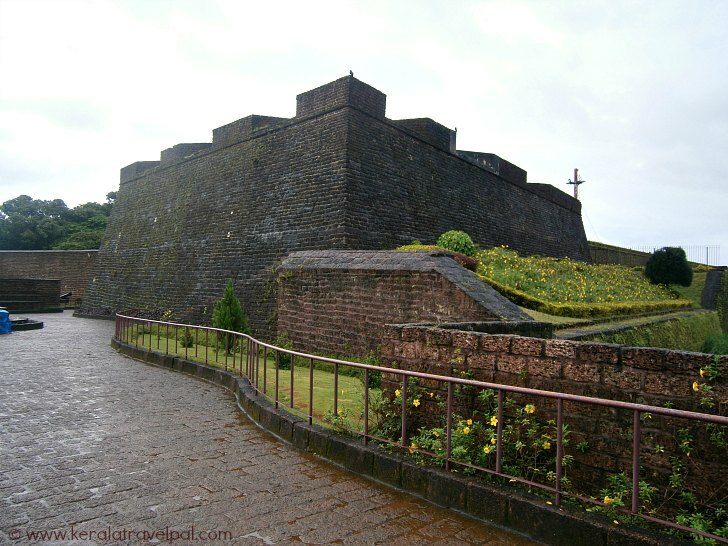 One of the attractions in Kannur town, it is located in a touristy spot right next to Fort of St. Angelo (Kannur fort) and Arakkal Palace. Proximity to such monuments brings in more visitors. Although Mappila bay is a sightseeing spot in its own right, a lot need to be done to bring it at par with the best of local tourist spots. A high wall extends into the sea from the adjacent Kannur Fort. It separates rough sea and inland water, so that boats could arrive inward and anchor safely. This wall has worked quite well for the fishing harbor and the port of Mapila bay. Boating within the bay area is pleasant. However, if you are venturing away from the bay to inner sea, make sure the weather conditions will stay favorable. The placid coastal waters of the region can suddenly turn violent if weather conditions deteriorate. In its great past, Mopila bay served as a port. For several centuries it linked Malabar to foreign countries. Today hectic activity of a thriving fishing harbour has taken over the coastal spot. After a period of decline caused by neglect Moppila bay bounced back to brisk activity as a regional fishing hub. A trade Pact signed between India and Norway opened doors to assistance. Much needed makeover thus saved the fishing harbour. No doubt Mappila bay is a scenic area of tourism potential. Unfortunately, nowadays it is more of a fishing harbour than a sightseeing spot. The ruins of once magnificent Fort of St. Angelo overlook an ancient temple sharing the same fate. The triangular lateritic bastion took defensive advantage of the water bound landscape. With Mappila bay on one side, water aspect of the other side is also significant as the cliff there ends by the sea. Built by the first Portuguese viceroy of India, Dom Francesco d’Almeida, its construction dates back to early sixteenth century. Strategically located just above the bay, Arakkal Palace was the headquarter of the local rulers, the Ali Rajas. From here, Arakkal dynasty, the only Muslim royal family native to Kerala, ruled a city-state including Kannur and Lakshadweep. Arakkal museum is located within the palace. Still owned by the Royal family, the museum is open to visitors. There is nominal fee for entry. The bay is located at Ayikkara, 3 kilometres from Kannur town. Reaching here from town is easy. The best option is to hire one of the Auto-Rickshaws whizzing around. Accommodation Options : Hotels, lodges and homestays at Kannur. Best time to visit : September to May. For boat rides, the sea may be too rough during the peak of monsoon - Jun-Aug. Check the weather prior to visit. Nearby Attractions : Dharmadam Island, Andalur Kaavu,Thalasseri fort, Arakkal Museum, Meenkunnu Beach, Azhikkal Ferry, St. Angelo Fort(Kannur Kotta), Payyambalam beach, Kannur town (shpopping & food), Muzhappilangad drive-in-beach, Sea view park, Aralam wildlife sanctuary, Ezhimala beach, Indian Naval Academy, Parassinikadavu and Vismaya Kannur.